I'm not alone in thinking that most of us have been complaining about the lack of action being taken against the sargassum seaweed issue in Barbados, right? Well, here's an interesting event attempting to tackle the issue as well as raise funds for a children's home. It has winning written all over it. I was super excited to see former school mates of mine put a spin on your regular beach clean ups for a cause. 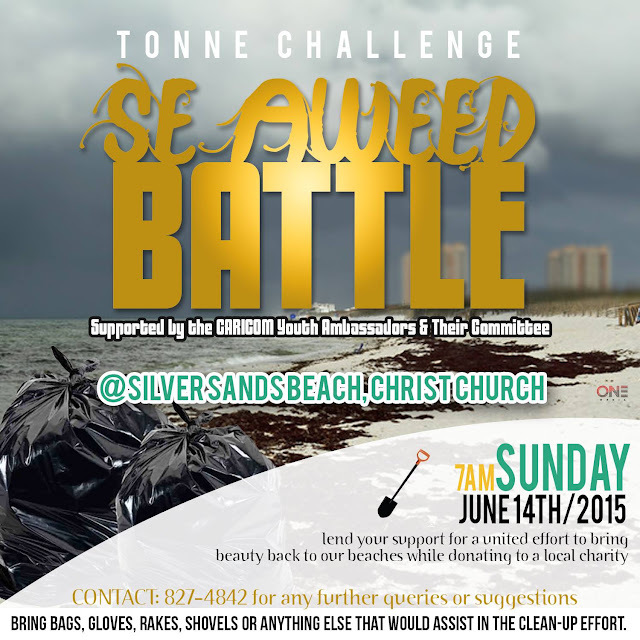 The 'Seaweed Battle' is challenging teams to see who can collect as much sargassum seaweed as possible from the Silver Sands beach, in conjunction with the Sustainable Barbados Recycling Centre Inc's $50.00 per tonne seaweed drive. All proceeds from the collection will go to the Thelma Vaughn Memorial home. Thelma Vaughn is a children's daycare and shelter for about 14 children between the ages of 3 - 18. The children are physically and mentally disabled and the majority of them suffer from cerebral palsy. A few attend normal school and the rest attend a special school for the disabled. Whereas they used to received some funding from the state, now they no longer receive any help, which makes the event even more special. I encourage all of you to come out and have fun, while supporting this worthy cause! America euthanizes upward of 1,000,000 pit bulls every year. Around the world, pit bulls are equally victims of prejudices that associate them with ultra-violence and make them disposable dogs. In Barbados, pitbulls are prized possessions in the dog fighting community, and are generally feared as ferocious beasts. 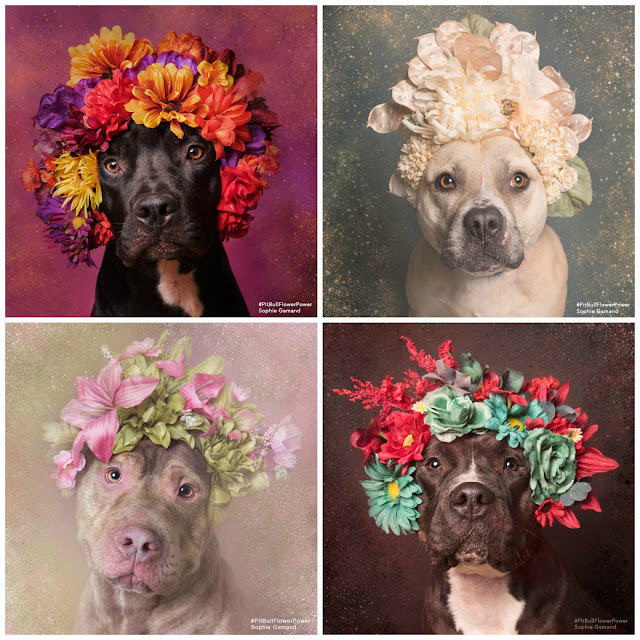 With "Flower Power: Pit Bulls of the Revolution", photographer Sophie Gamand decided to photograph them with flower crowns, to infuse a softer energy into their image. This series challenges the way we look at pit bulls, and ultimately the way we treat them. All the models from the series are shelter pit bulls who were waiting for adoption at the time of the photograph. Many of them still are (check this link to view the complete series and who is still waiting for a home). Sophie also works with a dog rescue group called the Sato Project, is dedicated to rescuing abandoned & abused dogs from Puerto Rico. 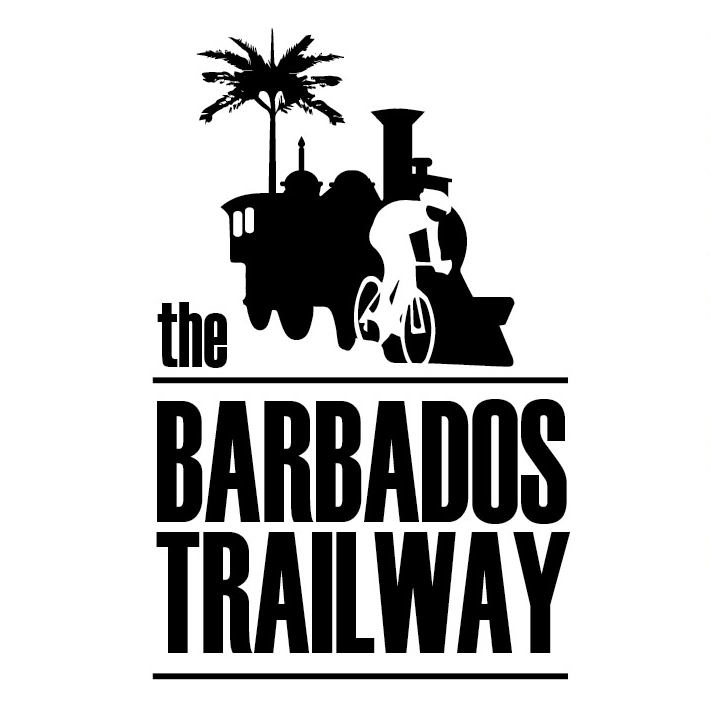 I had the pleasure of attending a presentation on The Barbados Trailway a couple of months ago at a Evolve Meeting and the audience was blown away with incredible social enterprise. The Barbados Trailway is project aimed at promoting health and wellness, sustainable transport and tourism in Barbados which would convert the old Barbados Railway reserve from Bulkeley Sugar Factory, St. George to Consett Bay, St. John into an accessible pathway for pedestrians, runners and cyclists. Barbados has one of the highest rates of chronic non-communicable diseases in the world and in 2014, CNCDs accounted for 80% of all deaths in the island. Caribbean people, including Barbadians, are at a high risk for hypertension and the prevalence of diabetes in the adult population is above the regional and international average. 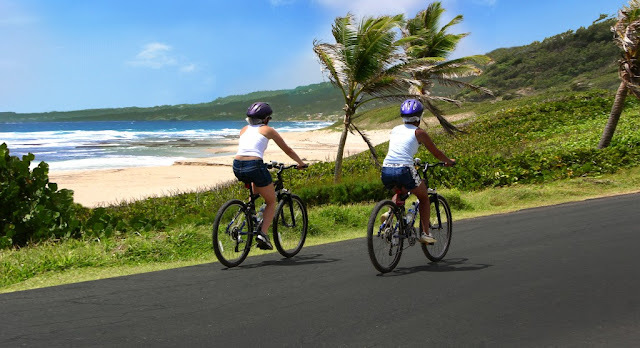 The Trailway will promote active and healthy lifestyles amongst Barbadians, offer public access to recreational space via a safe and accessible pathway. Can you imagine the effect that this project would have on our tourism product and the overall health of Barbadians young and old? It's such an exciting time for change in Barbados, and I really hope this project attracts the support that it needs from the government, the private sector and the community in order to succeed. You can read about the project in great detail on their Facebook page. 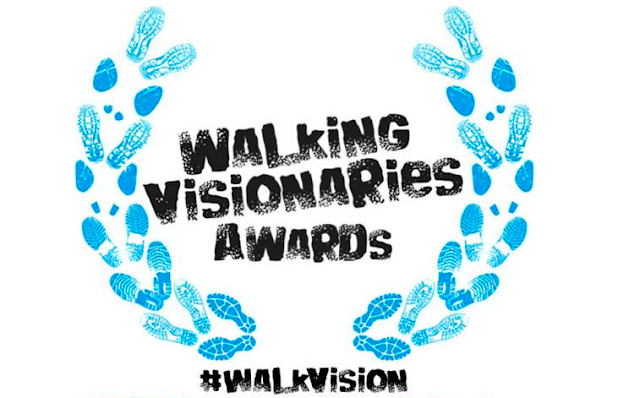 The Barbados Trailway is currently competing for the Walking Visionaries Award, and you can help them by voting for them once a week until June 16th.